In excellent condition, true and bearings feel excellent. Appears to have very little use, no wear on the braking surface. 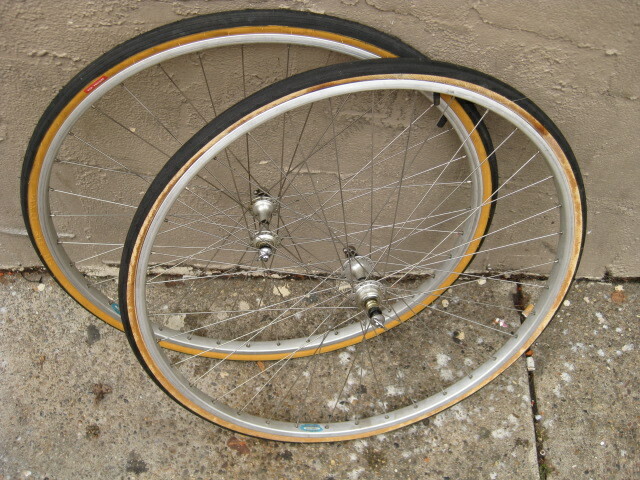 36 spoke front and rear. with Campagnolo quick releases. 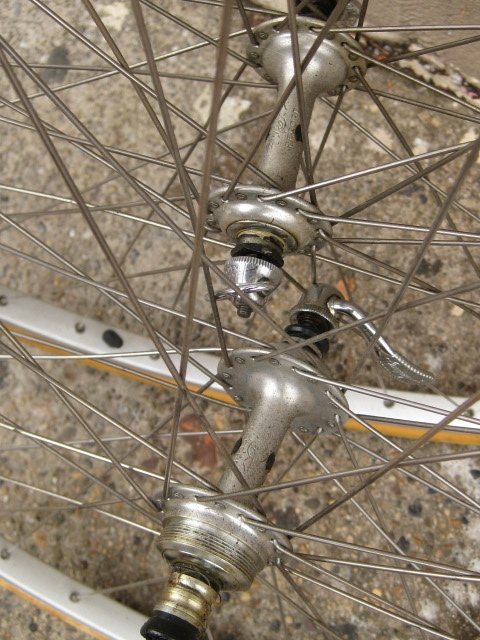 Standard English threading for freewheel. 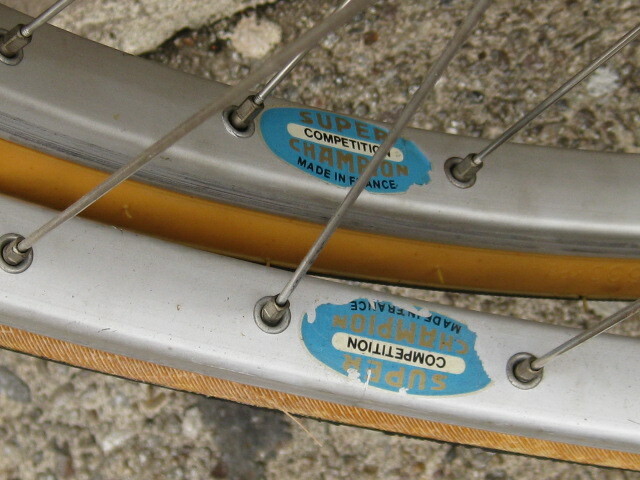 27″ rim size. I don’t know what the tires are, consider them a gift, one is newish and the other should be replaced as the rubber looks a little dry.